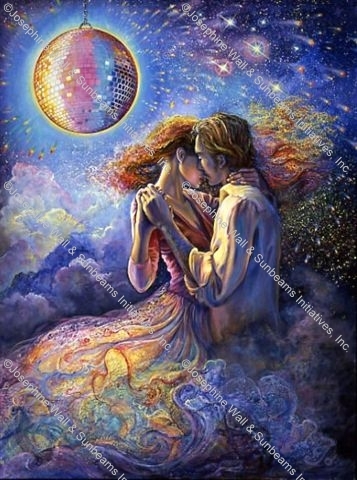 .Dancing in the moonlight the lovers are transported to a world of their own. The moon becomes a glittering mirror-ball scattering rainbow stars to light up their cloudy ballroom. When love is in the air all things are possible!